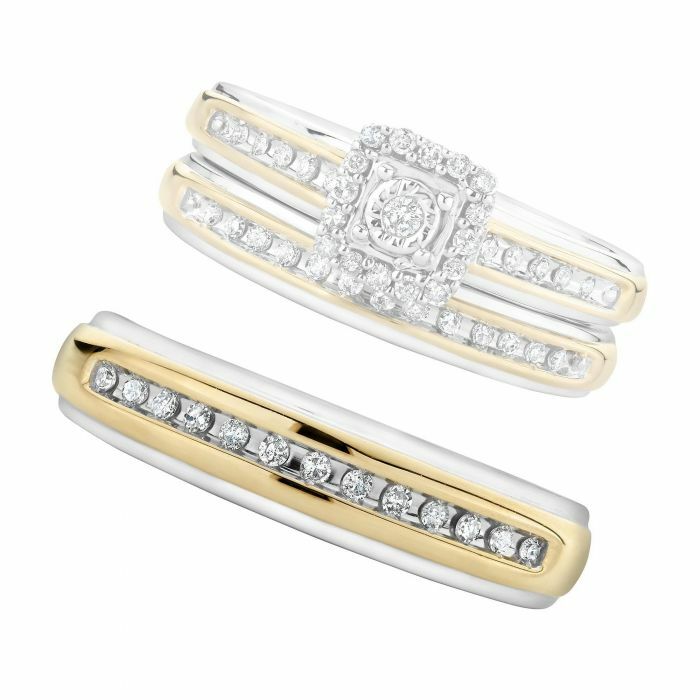 This men's two-tone 10k gold wedding band features thirteen round diamonds. Diamonds are 1/10ctw, J or better in color, and I2 or better in clarity. Band is 5mm at the top and 4mm at the bottom. This band is part of a trio set, matching ladies' engagement ring and wedding band each sold separately.